I wanted to make the 3 different polygonal objects relate in some form rather than having them as completely separate identities. 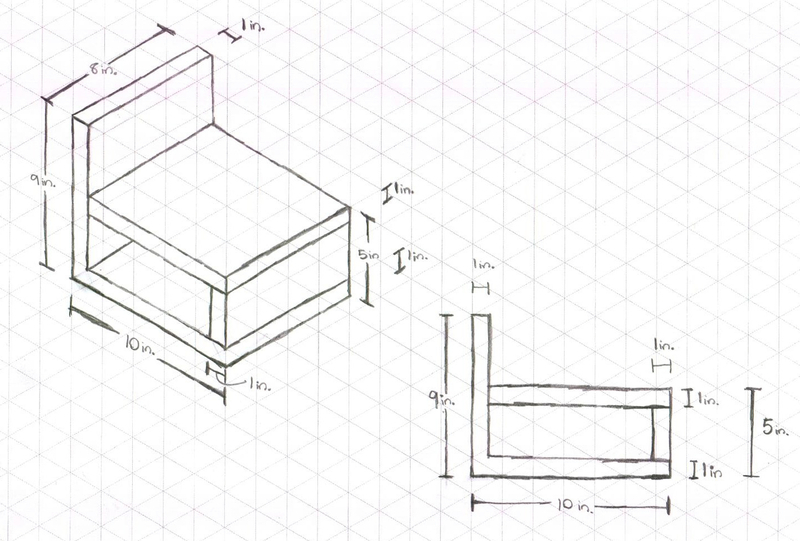 After being inspired by various compact furniture, I decided to design my own. All objects are made of wood, and I am still determining what types of hinges I would like to use. The two that I am choosing between are the mortise-and-tenon and edge-to-face. The 3 different polygonal objects are the table, the chair, and the foot rest. The foot rest can be stacked on top of the chair, and the combined entity can slide under the table. I will need wood boards that are an inch thick and around 600 inches squared of total area.